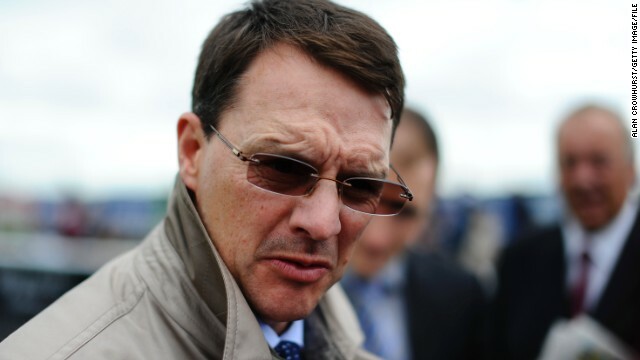 Aidan O'Brien has been a trainer at Ballydoyle Stables since 1996. What's the secret to horse racing success? I often wonder what it is that makes someone good at what they do. Hard work, dedication, intelligence and strong communication skills are obvious necessary traits, but when it relates to a horse trainer it's even harder to put a finger on it. Recently I spent a morning filming with Aidan O’Brien, Ireland’s No. 1 racehorse trainer. It was in the lead-up to the Irish Derby, which he had won a record 10 times, and afterwards he added to that tally with yet another success. The 44-year-old has been the champion trainer in Ireland for an incredible 16 years and quite possibly many more to come.